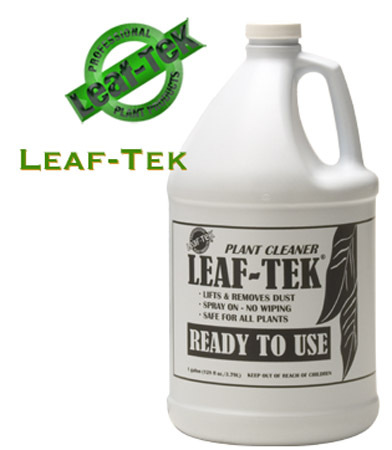 Leaf-Tek Pro is formulated to remove dirt and dust from plants. Safe and odorless, Biodegradable surfactants loosen dirt and dust and allow it to float off the leaf surface. Safe for delicate plants and palms.